Hydropower is power derived from the energy of falling water and running water. Galway has a history of hydro energy that powered the city’s many mills and ESB power stations (pre-Ardnacrusha Hydrostation) by the water flowing through the canals of the city. The west Galway coast provides access to powerful Atlantic wave energy with wave power up to 100kW/m, while Galway Bay provides a natural tidal lagoon with tidal races around the Aran Islands. 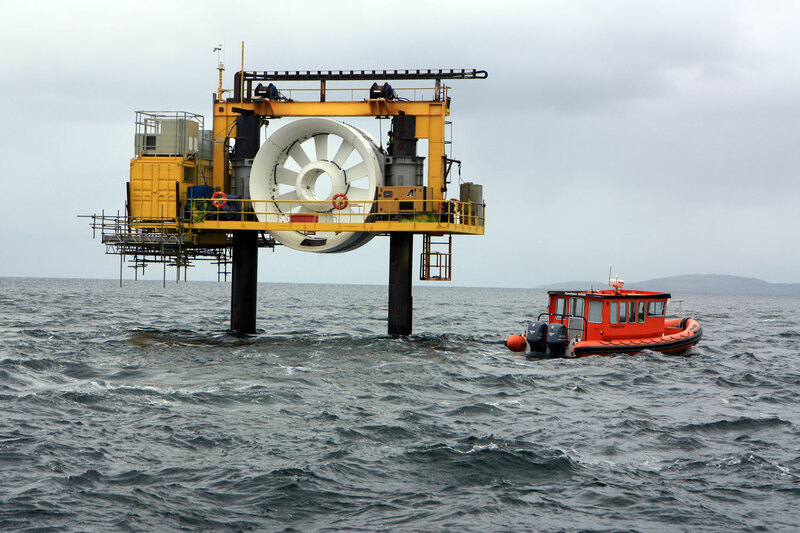 Tidal current power and hydro turbine technology have matured and are now more commercially viable. They could provide development opportunity in returning Galway’s canals and river to work generating sustainable renewable energy. A 1985 report commissioned by the ESB from the NUIG Hydrology Department – “Hydropower Potential of Galway City Canals” – rated the power of the canals at 1.5MW, with a maximum power potential of over 4.6MW and an annual energy potential of 25GWh/yr. 1.5MW is a similar power output as one large onshore wind turbine. Eglinton Canal could provide a maximum of 1.2MW with a turbine at the existing lock gates, while Hunters Canal, the eastern (ESB) conduit and Gaol River provide supplementary flows. In maximising the power output capacity, priority would need to be given to maintaining the water level and biodiversity of Lough Corrib (especially the fisheries) as well as ecosystem maintenance of Galway Bay and flood protection in Galway City. But, where suitable, hydro energy resources could be reinstated in a combination of micro-hydro and large scale tidal hydro turbine installations as part of the water level maintenance systems in both the canals and river bed.